Joe Biden it is. I’ve known Biden and watched him since my first turn staffing the Senate, 34 years ago. Day in and day out, he’s a good man. More, he will make a great vice president. One of the things that has always distinguished Biden to me is his dedication to his family. Shortly after he was elected to the Senate, his wife and infant daughter were killed in a car-train accident, which also injured is two sons, Beau and Hunt. 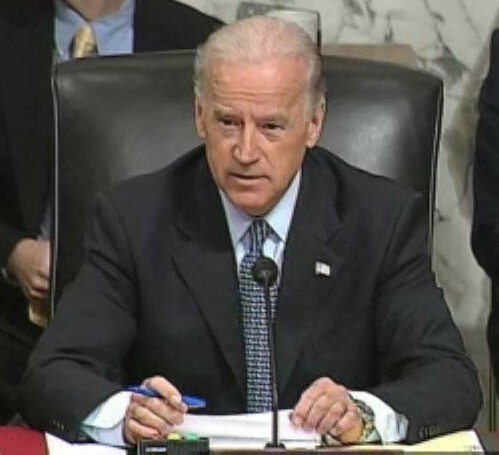 Biden informed Senate leaders he would not leave his children at such a time, and that he’d resign his election. Majority Leader Mike Mansfield and several others worked to persuade Biden to find some way to serve. By the time I joined Mansfield’s office in 1974, Mansfield was glad to have persuaded Biden, since his expertise and cool judgment were needed in the latter days of the Watergate Constitutional crises. Bill Bradley tells the story, touchingly, in his book Time Present, Time Past, about how Arkansas Sen. John L. McClellan told Biden the best thing he could do would be to serve in the Senate and work hard — McClellan having lost his wife to spinal meningitis while driving back to Arkansas on business, and then one son to the same disease (in Africa, a few years later), and two more sons in an auto crash and an airplane crash. Biden resolved the problem by commuting every day, from Wilmington, Delaware, to Washington, D.C. Not moving to the capital kept Biden grounded, in a way most senators cannot be. Beau Briden today is Delaware’s attorney general, and a Captain in the National Guard, deploying to Iraq in October 2008. Hunt is an attorney working in Washington, D.C. Biden remarried in 1977. He and his wife, Jill, have a daughter, Ashley. Great pick on Obama’s part. Teri Gross’s interview of Sen. Biden on “Fresh Air” from WHYY-FM in Philadelphia, broadcast February 7, 2006. Check out other interviews and stories linked from, there. Watch Blue Ollie — he’s off to Springfield with his camera. Update: Blue Ollie’s report from Springfield – lots of pictures (not his own, drat).